Each month we have the opportunity to introduce outstanding medical practitioners in the community. An opportunity to take you behind the scenes to meet and connect with interesting professionals whose expert experiences support and elevate our collective quality of life. This month we are pleased to introduce Dr. Chris Chlebowski of Ashland Natural Medicine. 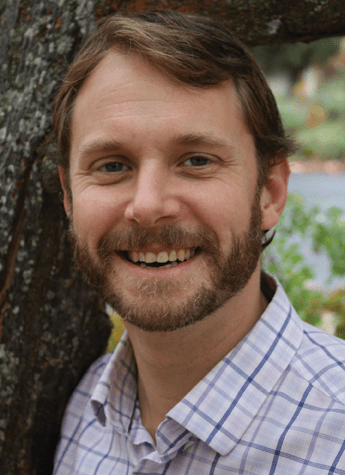 Recently relocated from Portland, Oregon, Dr. Chris Chlebowski is a classical homeopath, chiropractor, and a naturopath who has worked with thousands of patients, young and old, and has an extraordinary passion for natural medicine. “Hi this is Dr. Chris, just calling to follow up with you to see how you’re doing?”. Similar to the approach of the 1950’s “Family Doctor”, Dr. Chlebowski offers an availability and attention to his clients that makes him a great primary care physician for your entire family. From kids, to mom, dad, grandpa and grandma, Dr. Chris has a passion for what he does and is looking forward to getting to know you. Dr. Chlebowski… Welcome to Ashland! I want to jump right in here with our interview because what immediately strikes me as unique about you is your passion for Natural Medicine and the level of care and attention that you bring to the table for each and every patient. My level of attention to my patients comes down to one thing; I treat everyone with the care that I would want for my own family. Having someone entrust his or her health to me is something that I don’t take lightly so I try and treat it with the respect that it deserves. I also feel that superior service is the way to succeed in any venture. If you do your absolute best each and every time, it shows, and people respect that. This all comes naturally because I really love what I do. I spent many years searching for the perfect career and I found it in medicine. This calling allows me to interact with, and help people. It keeps me mentally very sharp and it is extremely challenging, which I love. So your path to natural medicine wasn’t a straight one. How did you get into medicine in the first place? I had a few careers before I found this one. I was a bass player in a rock band for years and I also did the corporate thing. Eventually I went on to start and operate my own tree trimming business. It’s funny, but trimming trees in some ways sparked my interest in helping people. There are parallels between caring for these old, majestic creatures and taking care of people. In both jobs you are trying to prune back things that are no longer necessary and allow for new growth. It was at some point when I was working with the trees that I realized I needed to study medicine. Something very old in me got “turned on”. That’s when I went to chiropractic school. What made you decide to go on and study homeopathy and naturopathy after becoming a chiropractor? It seems like you already had some excellent training and ability to help a lot of people. Chiropractic is powerful and it really helps a lot of people. It is the exact right tool for certain types of problems, however there are a lot of things it just doesn’t address. A lot of pain that shows up in the spine is just a reflex from an internal organ. For example, you can have bad heartburn and your vertebra will keep popping out of place. I can adjust it until the cows come home or I can address the reason it is happening in the first place. Then you don’t have to get adjusted all of the time. I figured all of this out when I was still in chiropractic school and I knew I would have to get additional training if I wanted to be able to effectively treat everything that could potentially come through my clinic door. Now I say I am a plumber (naturopath), a carpenter (chiropractor) and an electrician (homeopath). Not only have you studied and have mastery in three different alternative bodies of work, but you also continue to stay engaged with ongoing learning and education. It seems that you do all of this because you are really passionate about what you do. For me, medicine is an ongoing venture. It is a field that has no bounds, so you never stop learning if you want to improve. That is part of the appeal for me, life long learning. I actually just got back from Seattle where I go every two months to train with my homeopathic teachers. When I am not with a patient I am studying or researching a case. My wife teases me all the time about being a “medical dork”. It is about being the best doctor I can be and constantly trying to improve. I also have a teaching position at the Ashland Institute of Massage. This is really allowing me to go a lot deeper into some very interesting subjects. The school is currently going through some really positive changes and it is an exciting place to be right now. Teaching was a logical progression for me. I wanted to start to share some of my knowledge with a bigger audience. When we spoke on the phone, I was surprised to hear that you often give follow up phone calls to patients simply to see how a treatment you have administered has worked. Not only did I find this interesting, but what it tells me that you are very interested in cause and effect of your treatments. Can you tell us more? If someone comes to me and they are not well I need to know that they are moving in the right direction after we start a remedy or a treatment plan. People are often surprised when I ask them to call me the next day. I actually had a patient once that was really surprised by my call. It was really funny, he was like “why are you calling me?” Once he figured out I just wanted to make sure his asthma was improving he understood. He is still a patient of mine to this day. I think it catches some people off guard because they aren’t used to that level of personalized care anymore from their physician. That degree of follow-up with a patient also helps me become a better doctor with each and every encounter. If I can see how well something worked or didn’t work and it gives me a great advantage the next time a patient walks through the door with a similar complaint. I hear stories all the time of people that go to the doctor, get a prescription, and then they don’t talk to their physician again until the next time they need a drug. I like to see the cause and effects of treatments I administer. It sounds like you are pretty available to your patients. Is that the case? I took an oath that stated that my job is to help the sick. I stand behind that oath, and not just Monday thorough Friday 10am to 5pm. I text, email and talk with my patients all day long. My colleagues tell me all the time that they have never known a doctor who is more available to his patients. Dr. Chris, as mentioned in your introduction you run a practice that is very similar to that of a 1950’s Family Practitioner. You really support the entire family as their primary care physician. How does the typical family get involved with your practice? The most common scenario is that a mother brings her child to me for something like colic, reflux or maybe ear infections. After she sees how well her child is doing she brings her other child in for tummy aches, something of that sort. And then mom comes back and I treat her for her thyroid issue, or maybe some trouble with her menses. Invariably, a year or so down the line dad comes in for his low back pain. I think most people realize that if you have one person in the family who is sick, it effects everyone. If mom is suffering from Lyme disease and cant get off the kitchen floor to take care of her kids, you can be sure it is effecting everyone. If dads’ irritable bowel syndrome is raging out of control how can the family operate at a high level? I really see the family unit as an organism and I want to treat the whole being. There is a dynamic shift that happens when the entire family is under my care. We can get the deepest work done when I can see the entire family and help to address the whole picture. Dr. Chris, I gathered from your website and our conversation that you love working with kids. What is it about treating that population that appeals to you? I really love working with kids on both a personal and a clinical level. They are so much fun and they really just need to play. Play is literally how their cognitive and problem solving skills develop. If they are suffering from a chronic illness their developmental path is altered. So if I can remove the problem I can help change their developmental course. I have personally treated hundreds of chronically ill children and seen how constitutional homeopathy can affect them in a positive way for the rest of their lives. When I started my career I was fairly certain that I was only going to treat children. I spent years studying chiropractic pediatrics and honing my homeopathy and herbal skills specifically for children. At some point I realized that if I wanted to make a real difference in children’s lives I needed to address their parents’ concerns too. Clinically, adults have some very interesting conditions that don’t develop in children so it broadened my skill set to open my practice to adults. Why did you and your wife decide to leave Portland and move down to Ashland? Since our first date we had been talking about getting out of the city and moving to a smaller town. My wife, Samae Horner, went to college at SOU so we always entertained moving to Ashland. For the last four years we have been coming down to here several times a year and dreaming about the day we could move here. Our daughter Hazel just turned three and it was a good time before she started school to make the move. I have always wanted to be a small town doc. As much as we loved Portland, you kind of get lost in the shuffle in the big city and the sun does shine down here more. My two girls are the light of my life and I love being a dad and a husband. I think this really helps me in my work as a family doctor. It “takes one to know one” is my thought. At the end of a busy day I too can go home to a sick child or a tired mother, I think I “get it” and I know my patients appreciate my first hand experiences with being a dad and a husband. If you see Samae around town tell her, “Thanks” for letting me take calls when we are on vacation or for letting me get up in the middle of the night to treat a sick kid. She is really the one who supports me in my passion and I would not be able to do the work I do without her unconditional support. Can you tell us a little bit about the practice you continue to maintain in Portland? When we decided to move down to Ashland the only thing that was tugging at my heart were all the relationships I built with these families in Portland. I was really sad about leaving these people who I have helped for all those years. We are talking tri-generational families here. One of my mentors said “Chris you should keep treating these people”. A light bulb went off. Why not keep seeing these people in person every month or so and treat them over the phone? I do so much phone call work already in my practice that it made perfect sense. Clinically it is interesting to me to treat two populations of people. We see a lot of whooping cough and other communicable diseases up in Portland, which I really have a specialty in treating. I also treat a lot of vaccine injury up there as well. So it was important to keep my skills up in those realms. We are going to see more extreme flu cases and a resurgence of some diseases in the future and I need to keep up my chops for treating those sorts of things. You posed the question to me that if a plumber came to your house to fix a pipe, and then had to come back every week to fix that pipe would they be a good plumber? Can you talk a little bit about your philosophy behind the standards you maintain for your own practice? Exactly. I have to improve your health to be successful at what I do. If you are coming to me month after month complaining of the same health problems I haven’t done my job. If I am just putting a band-aid on the problem, have I really done you a service? I believe we as physicians have lost sight of the goal of medicine, which is “cure”. Not a “little bit better”, but cure. I know it sounds strong, but that is what I strive for every day with every patient. Can you give us a recent homeopathic success story that had you even saying wow? I have always really enjoyed treating autism spectrum disorders. I just saw a little four-year-old girl who was diagnosed as autistic the previous year. She had real trouble connecting with people. She was doing a lot of repetitive behaviors, some violence, all classic autism sort of stuff. We just had our second follow-up last month and she is a different kid since being under my care for about 6 months. Looking at her now you would not be able to tell she was ever diagnosed as autistic. Her parents feel like they have their lives back. These kinds of cases always bring me a lot of joy and remind me of the value of the work I am doing. Let’s talk about food allergies. You have stated that food allergies are often just a symptom of a deeper problem. Can you share with us how you approach this in practice? So many people are diagnosed with food allergies and sensitivities these days. Unfortunately that is as far as many practitioners go with it. They test their patient and then they say “You are allergic to xyz. Just don’t eat it again. See you later”. I don’t think that is acceptable. And it doesn’t really serve the patient in the long run. Do you know how hard it is for people to avoid all these foods? What we need to be doing in natural medicine is asking why are you allergic to this food? And there are lots of potential reasons. For example, someone can develop a food allergy because they took Advil for years for some type of pain, which then caused them to develop a leaky gut? Sometimes it is because the food is GMO and our bodies can’t digest it. I have even seen people have cross reactivity to one of their supplements, which caused a food sensitivity? So instead of just taking you off of corn for the rest of you life I need to heal your knee and your leaky gut. It is appropriate to temporarily take someone off of a food but I strive to get the person healthy so their diet can have as few limitations as possible. By just looking at the symptom and not the cause we have taken the batteries out of the smoke detector. It is analogous in my mind to putting someone on blood pressure medication. Why do you have high blood pressure in the first place? Lets address that first and then decide if you need to go on medication. That is what we need to be doing in medicine. People call me the “why doctor” because I am always asking why and I don’t stop until we get to the bottom of the rabbit hole. As a Naturopathic doctor you have full prescription rights can you tell us more about this aspect of your practice? I consider my prescription rights just one of the tools in my toolbox. I don’t hesitate to use them if they are the right tool. This is why I studied three different types of natural medicine; I wanted to be able to grab the exact right tool for the job. I always go back to the expression “If all you have is a hammer than everything looks like a nail. It is so true in medicine also. I have a lot of tools to treat my clients with. Top Ten Clinical Conditions you most frequently treat. Let’s talk about changing the course of peoples’ lives through preventative medicine. The beauty of homeopathic medicine is that it is inherently preventive by nature. Let me give you an example. The way a homeopath gauges that they have given you the correct remedy is not that some of your symptoms go away. Anybody can walk into the co-op and buy a remedy and get a few symptoms to go away. That is no big deal. The way a classical homeopath gauges your progress is that your chronic symptoms go away but also that your sleep improves, you get less acute illnesses, and your mental state improves. That is true prevention. When under my care a patient must be improving across multiple outcome markers or I have to change my treatment. There is no system of medicine, which is more holistic and preventative. I am also a big proponent of using periodic lab work to observe what is going on in the interior of a patient. I like to say, “Lab tests don’t lie”. I find things all the time that people had no idea were going on with their health via blood work. This is also preventative. I have a chiropractor and a naturopath and a homeopath that I see. Unfortunately they are three doctors (laughs) but I do it to keep myself moving forward in health. I want to be doctoring when I am 80 so I better keep myself healthy! Dr. Chris, what do you suggest in a situation where one of your children keeps getting sick in an ongoing manner? I have a lot of experience working with situations like this. My approach is to try and teach parents some basic healthcare so on a daily basis they can be keeping their kids healthy. I really try to empower people so as time goes on they can rely on their own knowledge more and more and less and less on their doctor. There are also simple things you can do like reducing dairy in your child’s diet when they are fighting an infection. Making sure kids also have adequate vitamin D levels is also critical to maintaining healthy immune function. If you don’t address this you get what I call “the domino effect”; one kid gets sick and then the next and before you know it mom, dad and everybody is laid up with the same cold. I can say from tons of experience that naturopathy and homeopathy can alter this sort of progression. Ahh.. the domino effect… with three kids in our home I know exactly what you mean. This can be highly frustrating and here in Ashland I know there have been some bouts of sickness going around. Yes. You will see me out in the community giving some talks on this subject soon. It is really a big thing for parents and I would like to help folks better navigate this problem and become more prepared. Finally, would you share any last thoughts or comments with us that help us to understand more of what you have to offer the community. I really want to be a resource in the Rogue Valley. I love what I do and I really enjoy talking about it. Please don’t be afraid to come up and talk to me at the Co-Op, at Noble coffee, or out on the trails. As I said before, we want to be part of this community and really get involved. It strikes me that this valley has some very progressive thinkers and is a good place to implement fundamental changes in the way we practice healthcare. I am really excited to be part of that. My long-term goal is to figure out a way to serve the medically underserved in the valley with natural medicine. You will see me reaching out in the upcoming years in a bigger way; I just haven’t put my finger on exactly what that is going to look like yet. I would also like to encourage people to visit my website. I will be posting articles and videos on my blog about health related topics. Dr. Chlebowski Is available for lectures or talks on a variety of health related topics. Please feel free to contact Dr. Chlebowski if you have a group or a meeting at which you would like him to speak. He will have a booth at the Rogue Valley Messenger event on December 2nd at the Ashland Armory. Please stop by and say hello.